1. The Bill for the Town of Lynn. 1. 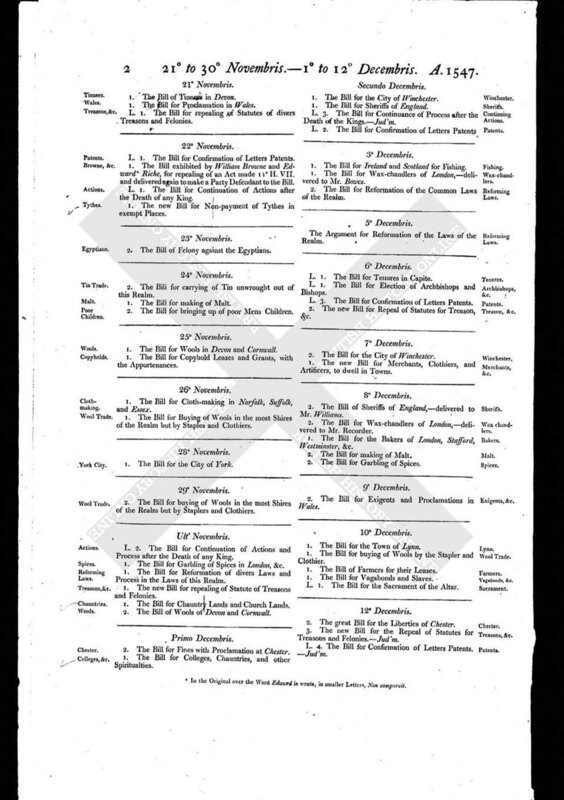 The Bill for buying of Wools by the Stapler and Clothier. 1. The Bill of Farmers for their Leases. 1. The Bill for Vagabonds and Slaves. L. 1. The Bill for the Sacrament of the Altar.